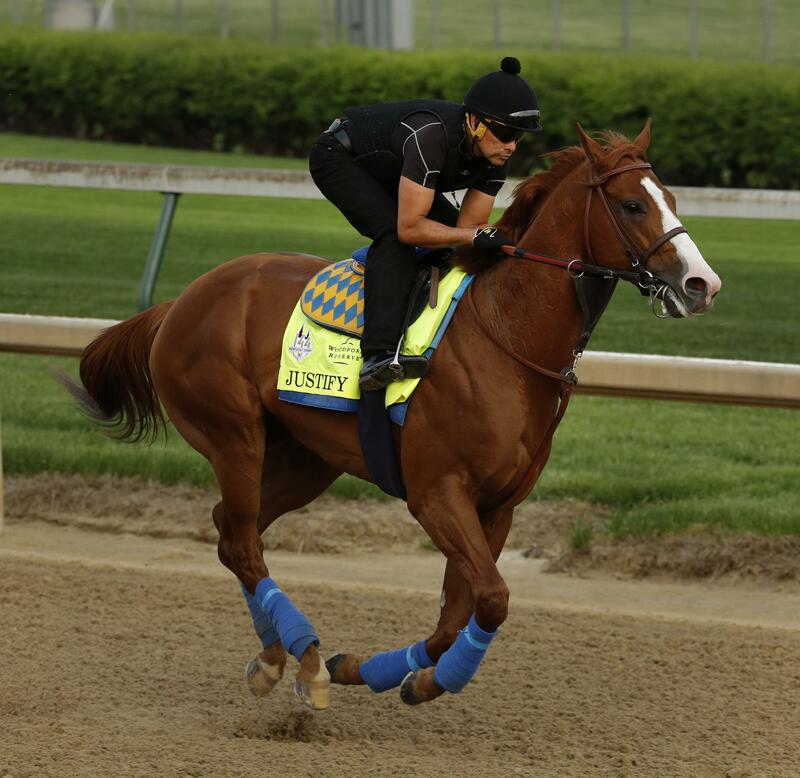 LOUISVILLE, Ky. – Todd Pletcher is throwing numbers at the Kentucky Derby again. Bob Baffert is seeking a fifth victory and he’s got the favorite, too. An old jinx could be disproved, and history would be written if Mendelssohn wears the garland of red roses. Arkansas Derby winner Magnum Moon is one of four horses to be saddled by Todd Pletcher, who won last year’s Derby with Always Dreaming. Mendelssohn has the least amount of time on the Churchill Downs dirt than any horse in the field. The Ireland-based colt made his first appearance Thursday – drawing attention with his screeching – after spending the first part of the week in quarantine for Aidan O’Brien. The trainer is 0 for 5 at the Derby, the biggest victory to elude him. Mendelssohn was an 18 1/2-length winner of the UAE Derby. His regal bloodlines and $3 million price tag suggest he would be a worthy champion, but no Europe-based horse has won the Derby. The frequently changing forecast for Saturday calls for a chance of rain at different times during the day. Post time is 3:46 p.m. Pacific time. Published: May 4, 2018, 7:24 p.m.